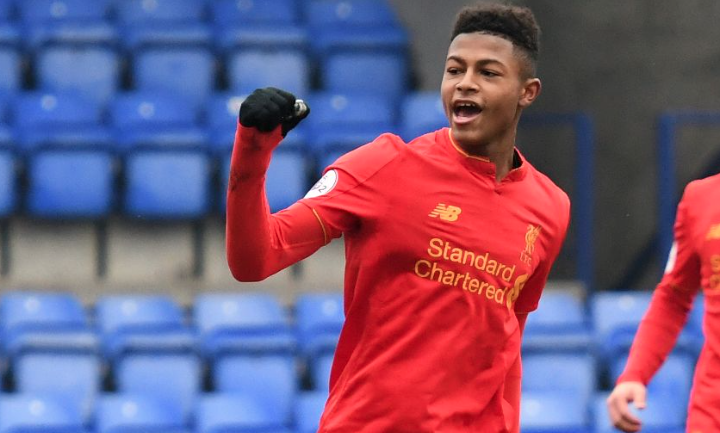 Seventeen-year-old Liverpool starlet Rhian Brewster has been named in the match-day squad against Crystal Palace. The rising star trained with the first team at Melwood mid-week after an impressive display for the Liverpool U23s on Monday. Brewster was the star man for the Reds as they came from behind for a 3-1 away victory over Leicester. The youngster scored the equaliser and provided two assists for Matty Virtue and Harry Wilson. Brewster was rewarded with promotion to training with the first-team. Head coach Jurgen Klopp was so impressed that he decided to include the forward in the match-day squad. Brewster was born in London and represents England at Under-17 level but a little known fact about the young forward is that he is eligible to play for Turkey. A source close to the player has revealed to Turkish-Football that the Reds wonder-kid has a Turkish mother and would be able to play for the Crescent-Stars at senior level. Several players in the Turkish national team were actually born outside Turkey including Bayer Leverkusen star Hakan Calhanoglu, Borussia Dortmund ace Emre Mor and former Arsenal youngster Oguzhan Ozyakup.